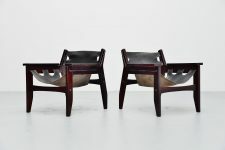 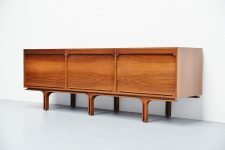 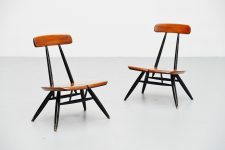 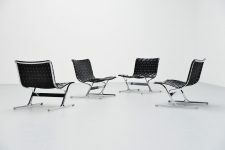 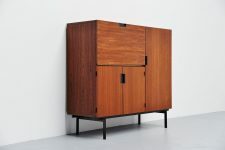 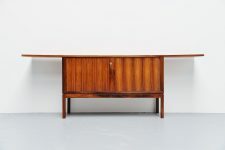 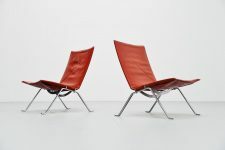 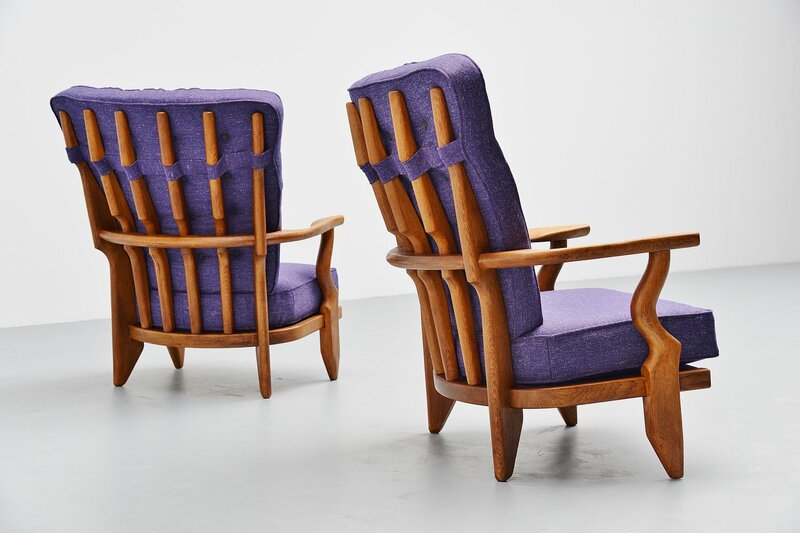 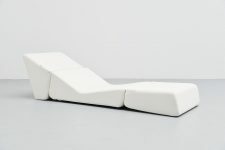 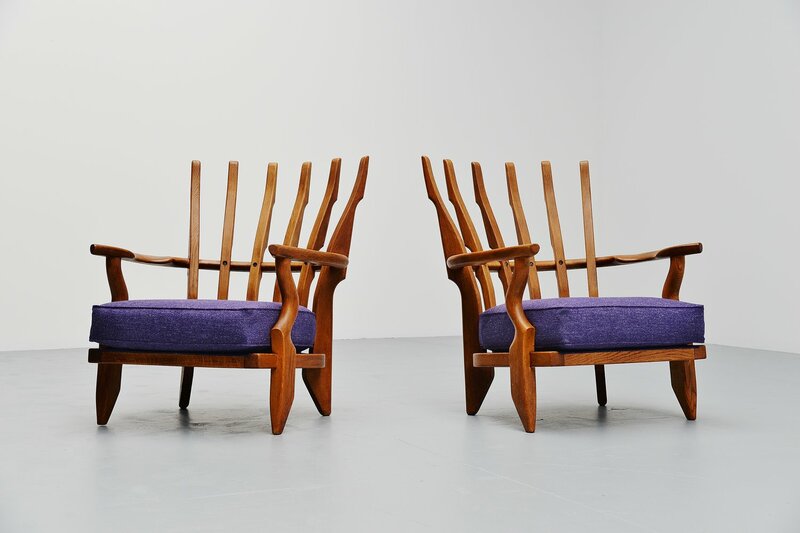 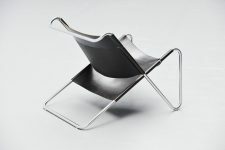 Excellent pair of lounge chairs designed by Robert Guillerme et Jacques Chambron, France 1955. 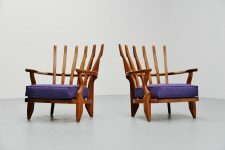 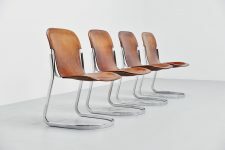 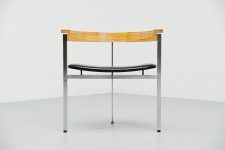 These chairs have a very nice organic ribcage frame in solid oak. 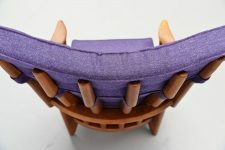 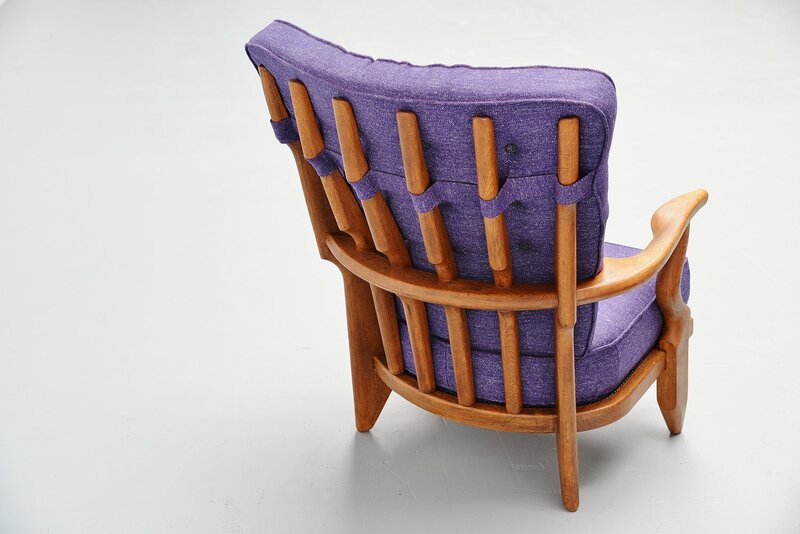 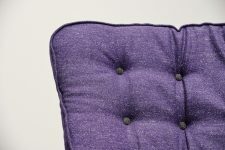 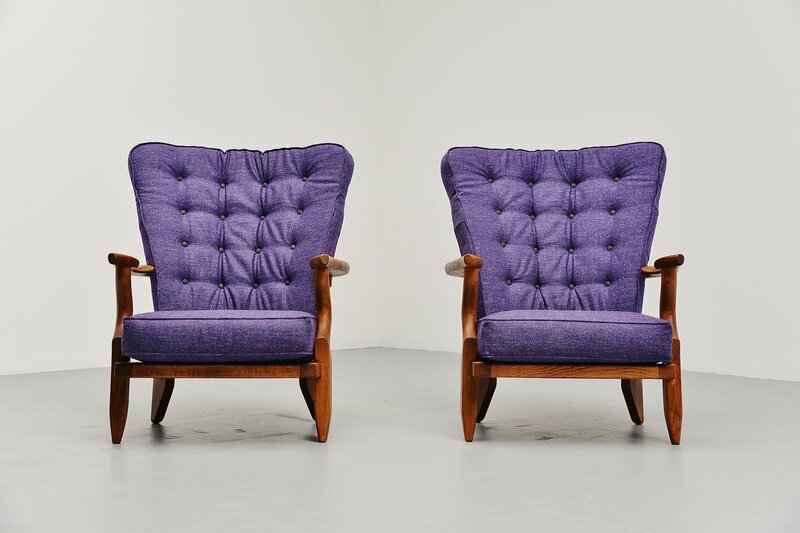 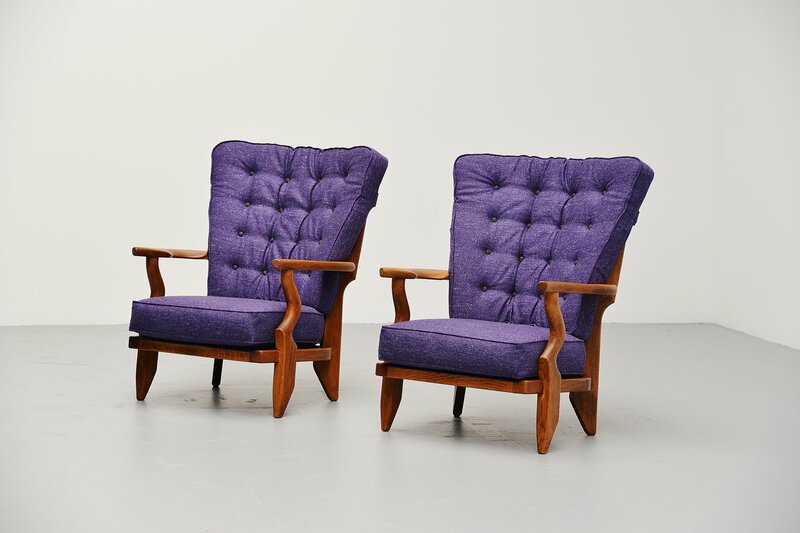 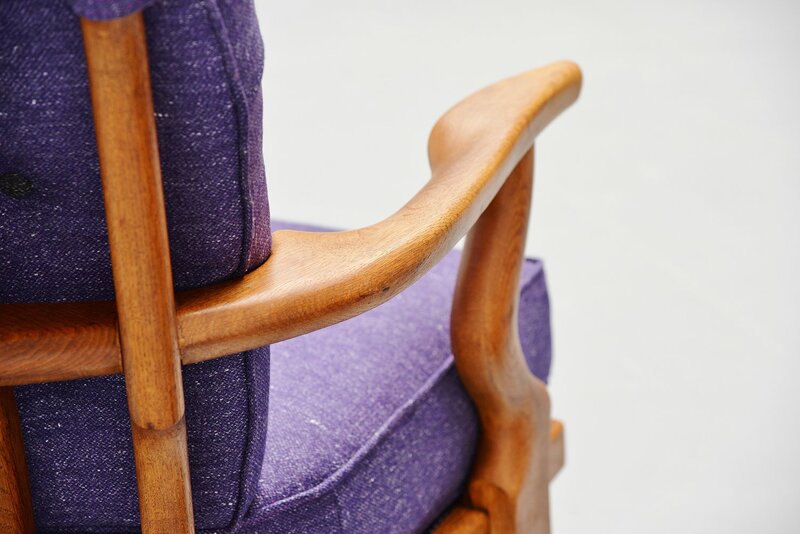 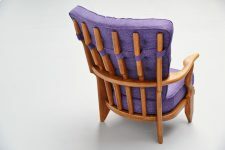 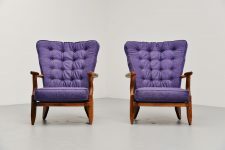 They are newly upholstered in quality purple fabric and they have black buttons. 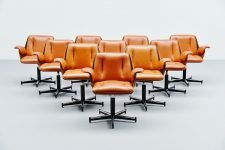 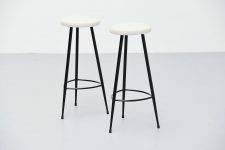 These chairs are upholstered like they originally were to preserve the authenticity of the chair and to keep close to our high quality standards we use only high quality materials for the upholstery. 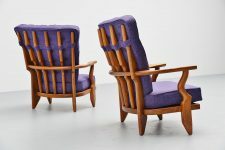 Fantastic looking and super comfortable chairs.